THE HESLOP HOUSE: Summer is over! Well, the times and seasons have done it again, my summer is officially over. Kids started school today and that basically wraps summer fun up for us. I have done a horrible job of posting all our fun trips and pics so I just want to recap a few. First off APRICOTS!!! They are one of my favorite fruits, and i love to dry them! We picked they all and headed home to do some canning. Taylor was more than willing to help out. 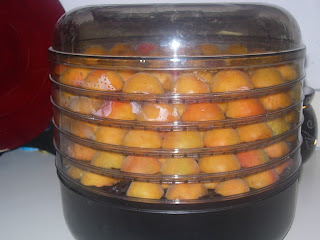 I washed and cut and she put all the apricot halves in a neat little row around the dryer. 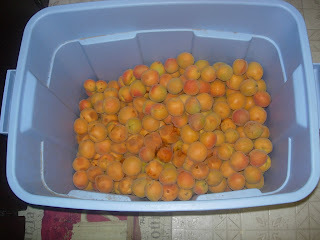 In no time we had a dryer full of apricots. We did dried apricots and apricot fruit leather this year, yummy! 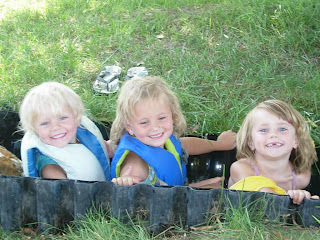 Next off we have our trips to the pond. If any of you have been to "Grandpa Roylance pond" you know how fun it is. They have a large pond with a dock, paddle boats, canoe's, fishing boats, water slides, rope swings, volleyball, and a castle. It is loads of fun to go! Taylor's cousins came up from Utah and the girls had so much fun going down the slide and playing in the water. This picture doesn't do conners face justice, but he was scared to death! 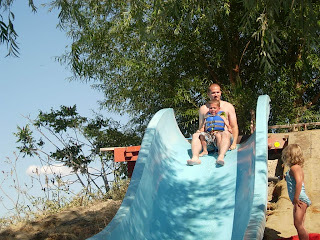 This is a pritty big slide, and ontop of dad's lap they go fast! Conner cryed all the way down and then for ten minutes after. Oh well, he'll thank us when he's older, right? oh and in brandon's defense, this was one of our first trips out in the sun, he's much tanner now. Next we took a trip down to Utah. We have a home there we needed to clean up after our renters, and we visited the Family. 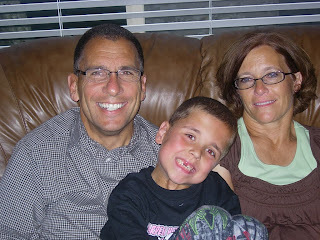 Conner and Taylor get so excited to spend time with their grandparents, and they love their aunts and uncles. Presley finally met her cousin, whom is just eight days younger! 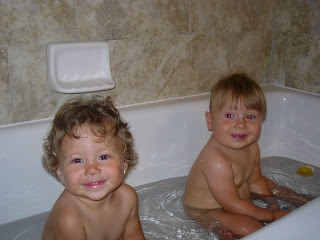 Presley and Kylee had fun in the tub. Kylee is walking, presley is not, so they didn't really sit too much together, but they got a kick out of eachother every once in a while. We took a trip up to bear lake for raspberry days on saturday. It has been a family tradition of mine for years, all my childhood we went up with our cousins for the weekend. We haven't been for several years, so it was nice to have that tradition this year. We walked around the booths for a while, but it was soooo hot and we had a slight forchance of rain so we quickly headed to the beach. 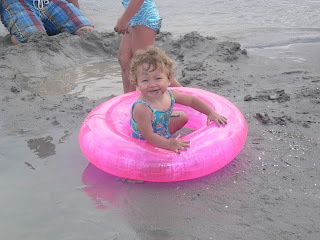 The kids had a lot of fun playing in the sand and water. We got pizza for dinner and followed it up with a famous rspberry shake. The kids were all so tired by the time we got home, perfect plan. Well, i have more pics of our trip to Utah, and I am missing some, and i'm sure this post is getting rediculously long, so we'll save some for another day. Happy posting. I can't see Conner's face in the picture. dang it. Apricots? I dod No canning No drying, I am such a slacker. Geez, way to make me look bad. ;) That picture of Presely in the tub in angelic, her cute little face all shining and beaming, such a doll. 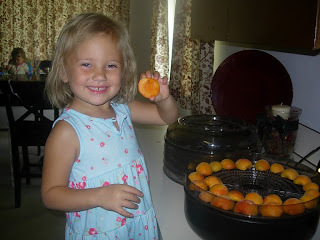 Question - I tried to dry apricots like that once and within 5 hours of being in the drier it was a big moldy mess. Have you experienced similarly?